Rice Salad Wrap with Orange & Honey Dumplings for dessert. 2 rice wraps spread a teaspoon of mayonnaise between the two sheets, fill with whatever salad you like, I like mine simple. Mixed salad lettuce, Sliced Tomato, view slices of Vegetarian Spicy sausage, Vegetarian burgers and onion to taste, topped with BBQ sauce roll and cut in half. 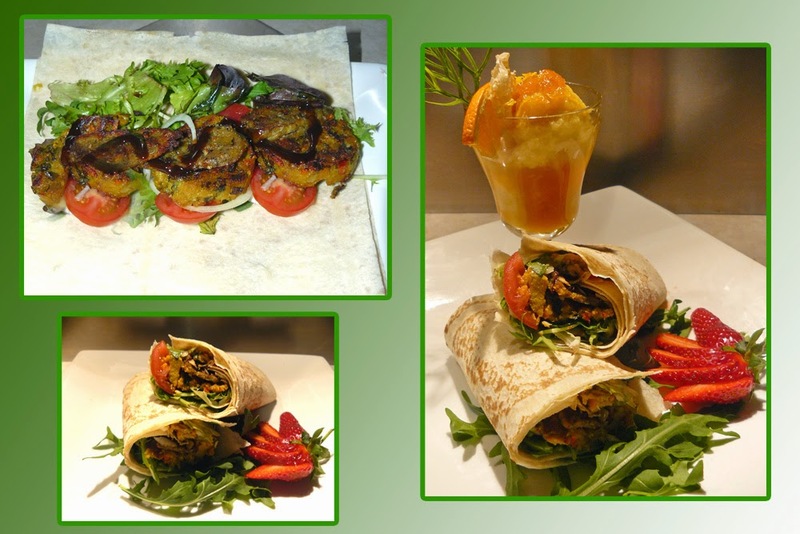 I cook both the Vegetarian Burger and Vegetarian Spicy sausage before placing it int he wrap.